During hibernation, the metabolic rate of thirteen-lined ground squirrels (Ictidomys tridecemlineatus) can drop to <5 % of normal resting rate at 37 °C, core body temperature can decrease to as low as 1–5 °C, and heart rate can fall from 350–400 to 5–10 bpm. Energy saved by hibernating allows squirrels to survive the winter when food is scarce, and living off lipid reserves in white adipose tissue (WAT) is crucial. While hibernating, some energy must be used to cope with conditions that would normally be damaging for mammals (e.g., low core body temperatures, ischemia) and could induce cell death via apoptosis. Cell survival is largely dependent on the relative amounts and activities of pro- and anti-apoptotic Bcl-2 family proteins. The present study analyzed how anti-apoptotic proteins respond to protect WAT cells during hibernation. Relative levels of several anti-apoptotic proteins were quantified in WAT via immunoblotting over six time points of the torpor-arousal cycle. These included anti-apoptotic Bcl-2 family members Bcl-2, Bcl-xL, and Mcl-l, as well as caspase inhibitors x-IAP and c-IAP. Changes in the relative protein levels and/or phosphorylation levels were also observed for various regulators of apoptosis (p-JAKs, p-STATs, SOCS, and PIAS). 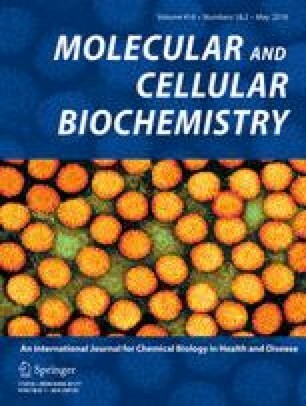 Mcl-1 and x-IAP protein levels increased whereas Bcl-xL, Bcl-2, and c-IAP protein/phosphorylation levels decreased signifying important roles for certain Bcl-2 family members in cell survival over the torpor-arousal cycle. Importantly, the relative phosphorylation of selected STAT proteins increased, suggesting a mechanism for Bcl-2 family activation. These results suggest that an increase in WAT cytoprotective mechanisms supports survival efforts during hibernation. Thanks to J.M. Storey for editorial review of this manuscript. This work was supported by a Discovery Grant (#6793) from the Natural Sciences and Engineering Research Council of Canada. KBS holds the Canada Research Chair in Molecular Physiology, BEL holds an NSERC Canada Graduate Scholarship, and SML held an NSERC Undergraduate Summer Research Award.